Civil servants and Pensioners were owed many months, and attempts were made to cajole many to accept discounted salaries and pensions( 30-50%), others forced to work part time in the offices and part time in the farms. Contractors, big and small have outstanding debts reaching Billions of Naira and for many the chances of getting any reprieve is very remote as many mobilized to site without any drawings or contract document. The smooth talking and charismatic Governor mesmerized them into taking incalculable risks and many are standing on wet ground. The clergy is in utter disbelief as they have been sold a dummy. 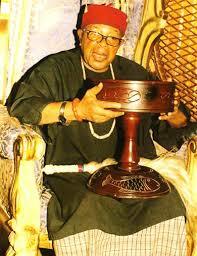 Ohakim was alleged to have asked his men to flog a reverend Father and they invoked both man and Spirit to fight him, so that Rochas would come in. Now it looks like 'the more you look, the less you see" and they are full of regrets. kingdom died not too long ago of a heart break because Rochas split his kingdom into disparate pieces and appointed some political supporters to Ezeship thereby whittling down the power and influence of Eze Njemanze. Governor Rochas has disorganized the traders in Ekeukwu Owerri as he has made good his plans to shut down the market and relocate the market somewhere despite the protestations of the traders and the Owerri people. He had driven the mechanics from their village, demolishing their place of employment. The Governor was unrelenting in the destruction of people's homes, ancestral sites and business establishments in an ambitious effort to create multi-lane dual carriage ways or to effect urban renewal. First, It is claimed by the Owerri people that there is no provision in the Owerri Master plan for such grandiose road designs in the old Owerri. The New Owerri was created by the past leaders of the State because it was clear that the economic and social cost of transforming the old city was going to be unaffordable. Second, there seemed to be no due process in the acquisition of the properties demolished, neither was there adequate compensation, nor adequate alternative accomodation or space provided. Thirdly It is was heart-wrenching to see the shops and wares of poor Imolites being destroyed by bull-dozers, while the People wailed and carried their heads in their hands in uttermost disillusionment . The tragedy was that some of these people received similar treatments in Lagos and Abuja and retreated to their home state only to face similar or worse fate. My utmost consternation is that even politicians from Imo State are fully frustrated by the imperial rule of Governor Okorocha. Hitherto,when I heard the grumbling of the opposition PDP Members, I thought it was all the politics of opposition but when I found out that many of the APC Party leaders and members have become completely disillusioned with the way the governor was running the State, I concluded that something has completely gone bizarre. 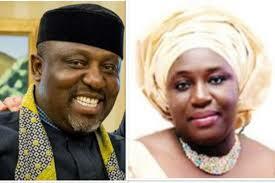 Many of the political leaders interacted with, complained that Governor Okorocha was impervious to advice. He seems to have fallen out with many of his party leaders, who also accuse him of using people and dumping them.He seems to be contemptuous of any good advice or intellectual rigour. It is a shame that the governor by his own admission is also contemptuous of due process, hence he takes decisions on impulse, refuses to read files and minutes and awards contracts without proper documentation. The members of the Imo State House of Assembly have been rendered completely impotent. They serve essentially as rubber stamp and are unable to raise a finger to check governor Okorocha as he carries on with imposing his views and wishes on the people with scant care for their feeling. Yes, when you pass through Owerri, you can not deny some of the physical changes that have taken place to brighten up the city nor the bill boards that announce free education and other projects of the governor, but these fade when measured against the gross trampling of the peoples' rights and privileges. Many citizens of Imo State, especially the indigenes of Owerri town feel like a conquered people, without power and without voice. Many people are simply afraid to speak as the governor is said to have very low tolerance for criticism or dissent. 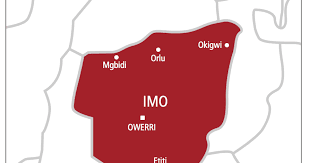 The recent craze of inviting foreign heads of States to IMO state and lavishing unparalleled hospitality on them at the expense of a poor State has created a new vexation in Imo. And then when you add the latest innovation of "Ikpu nmadu" - moulding of Statutes, the vexation and unhappiness of IMO people over this brand of Okorocha's government by Okorocha for the People of Imo State reached a boiling point.